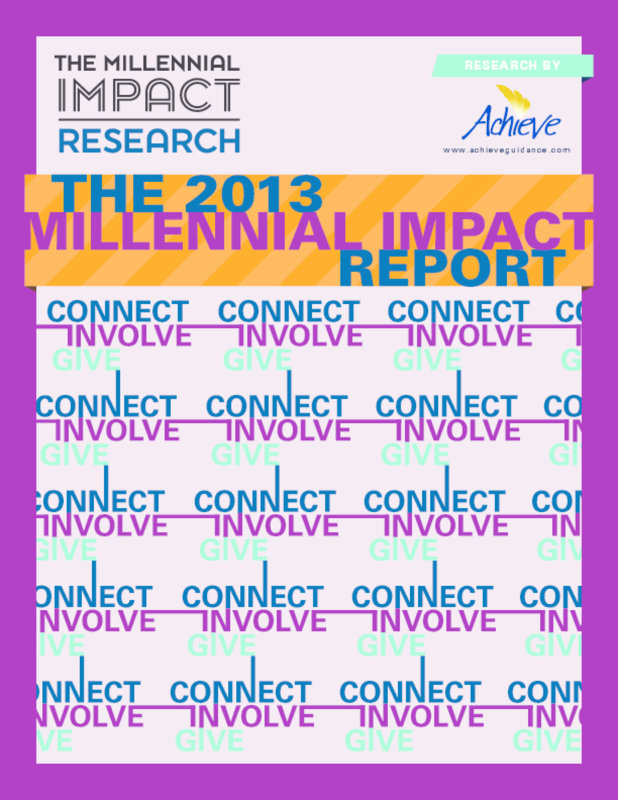 This year, Achieve gathered information from an online survey distributed to Millennials through 14 research partners, and, for the first time, conducted usability testing of nine nonprofits' online presence that included video feedback. The top takeaway: Millennials first support causes they are passionate about (rather than institutions), so it's up to organizations to inspire them and show them that their support can make a tangible difference on the wider issue. The question for nonprofits becomes then: How can we fully invest in this generation, immerse them in the cause, and maximize the impact of their interest, time, and giving?